Sony unveiled its latest Xperia X series flagship – Xperia XZ3 at the IFA 2018 consumer electronics in Berlin. Unlike the ripple caused by its previous models XZ1 and XZ3, Sony has come up with practical efforts to compete with the recent smartphones dominating consumer choice. Sony Xperia XZ3 is the first phone to feature high-end OLED screen technology and Slide Sense – an AI interface triggered by double tapping the phone’s right or left bezel. The Sony Xperia XZ3 is so far the best smartphone for YouTube due to its amazing resolution option not available in other high-end phones, including the latest iPhone and Samsung flagships. Also, XZ3 inherited some of the interesting features in XZ2 such as stereo speakers, a camera that supports 960 frames per second and a rear-mounted fingerprint sensor. Sony maintained the old design in the Xperia XZ3 so you can easily recognize it’s an X series flagship but the front finish would make you think it’s a Samsung Galaxy 9 or its predecessor. What else would make you think so? The curved-edged OLED screen and thin bezels wrapped by aluminum that blends into the protective screen glass. The Xperia XZ3 copied most goodies we had in XZ2. Both sides: front and back have a Gorilla Glass 5, IP68 water resistance and an 18:9 aspect ratio screen. Though Sony improved a lot weight-wise; XZ3 weighs 193g, which is 10 grams less than the iPhone XS Max and Galaxy Note 9 but heavier than Samsung Galaxy S9 Plus. That’s a lot better than XZ2 premium weighing 265g. Sony Xperia XZ3 is also slender with a thickness of 9.9mm and it feels very comfortable to hold. Color options are Black, Bordeaux Red (the most attention-grabbing), White Silver, and Forest Green (another striking color). Gorilla Glass 5 on both sides. Sony Xperia XZ3 is shipping with Android 9.0 Pie onboard paired with Xperia UI: Slide Sense, battery care, and a smart cleaner. The operating system features a multi-tasking menu like that of Android 8 but the home screen button is iOS-like. Sony nailed it with the Slide Sense which can be activated by tapping the right or left bezel twice. It’s an artificial intelligence (AI) that learns the apps you would likely use based on the time of the day, your location and other signals. In the camera section, the feature also buffers up to four images while you are getting ready to shoot by detecting movements in front of the camera lens. The Sony XZ3 launches the camera automatically when you hold it in landscape and triggers the shutter when you double tap anywhere on the display curved edge. Thanks to Slide Sense again. The 3,330mAh battery delivers average life. It can last you all day on a moderate use. You shouldn’t expect great image quality with its single 19MP lens camera. If you have used the XZ2, you’ll notice that the new phone is much better in terms of camera quality. 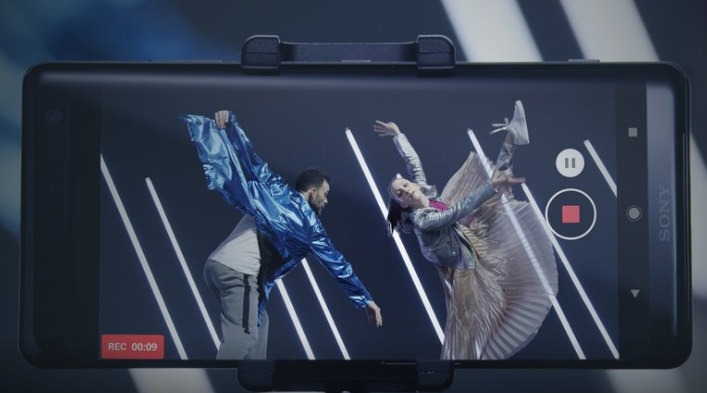 Sony Xperia XZ3 is currently the best phone for YouTube or video streaming. The OLED screen knocks off other smartphones. As mentioned earlier, the XZ3 provides resolution options up to 1440p, 60fps in HDR, which is not available in other smartphones. Note 9 managed to go up to 1080p. The Sony Xperia XZ3 price is set at $899 in the US, which is around £699 in the UK and AU$1,260. The Xperia XZ3 is no doubt the best phone to buy if you spend a lot of time on videos, but you’ll need to be topping up the battery. It’s not your choice if you want the best camera in Android OS. Huawei P20 Pro and Google Pixel 2 have a better camera. XZ3 undercuts iPhone XS, which has a better camera, by $100. However, XZ3 costs more than OnePlus 6 that offers the same Snapdragon 845 chipset, 64GB of built-in storage, 8GB of RAM and a larger OLED screen.